We know of the Blue Cross Blue Shield companies here in the U.S. Well, GeoBlue now has the backing of this great organization, the Blue licensees. They are held to a very high standard. 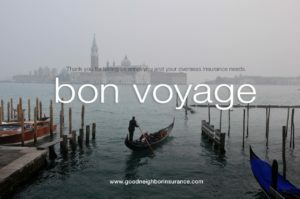 Which means that our guests, like our individual and family expats and faith based organizations, have one of the best international medical insurance plans that is offered outside the U.S.
Long term career medical insurance at https://www.gninsurance.com/hth-geoblue-navigator-xplorer-overseas-travelers/#citizen. Short term travel medical cover at https://www.gninsurance.com/geoblue-voyager-choice-essential-single-trip-travel-insurance/#excursion. Multi – trip travel medical cover at https://www.gninsurance.com/geoblue-trekker-choice-essential-overseas-health-coverage/. Call any of our licensed international medical insurance agents or write to us here at info@gninsurance.com or call us toll free at 866-636-9100. We are here to serve you, our guest!